The pavilion was designed by Johanna Isaksson and Mattias Skeppstedt within the scope of their master’s thesis project “Stressing Timber” and is part of Alexander Sehlström’s PhD project. During the assembly process the, load-deflection tests were conducted to capture the behavior of the shell. Preliminary results shows a significant increase in stiffness of the shell after the pre-stressed cables were installed. 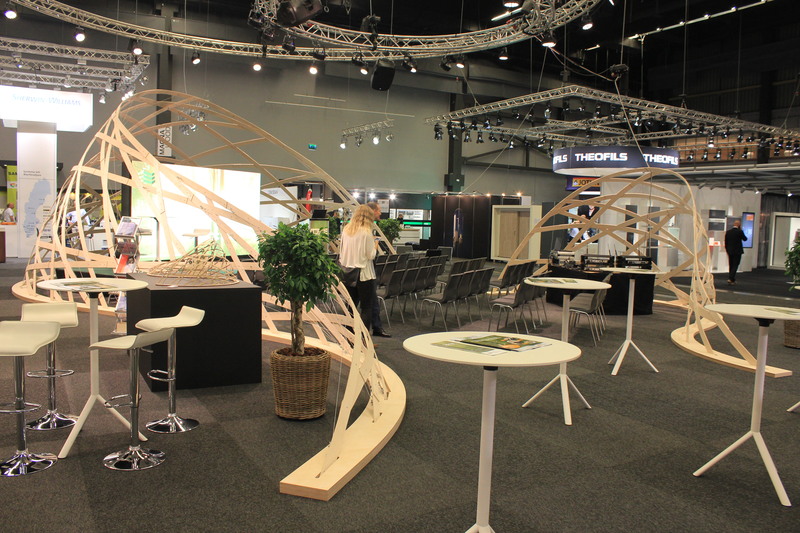 Part of the pavilion will be exhibited again at AAG2018 in September at Chalmers.